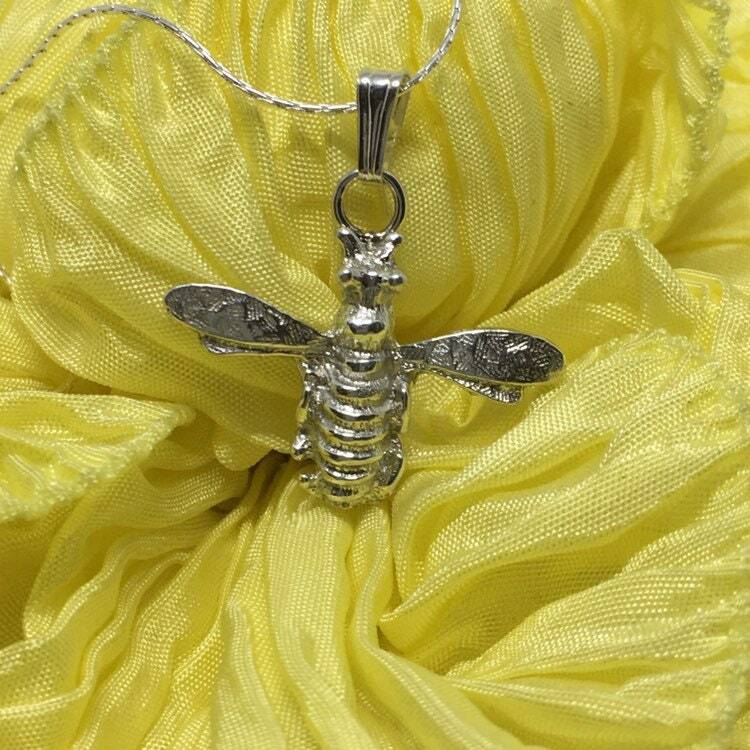 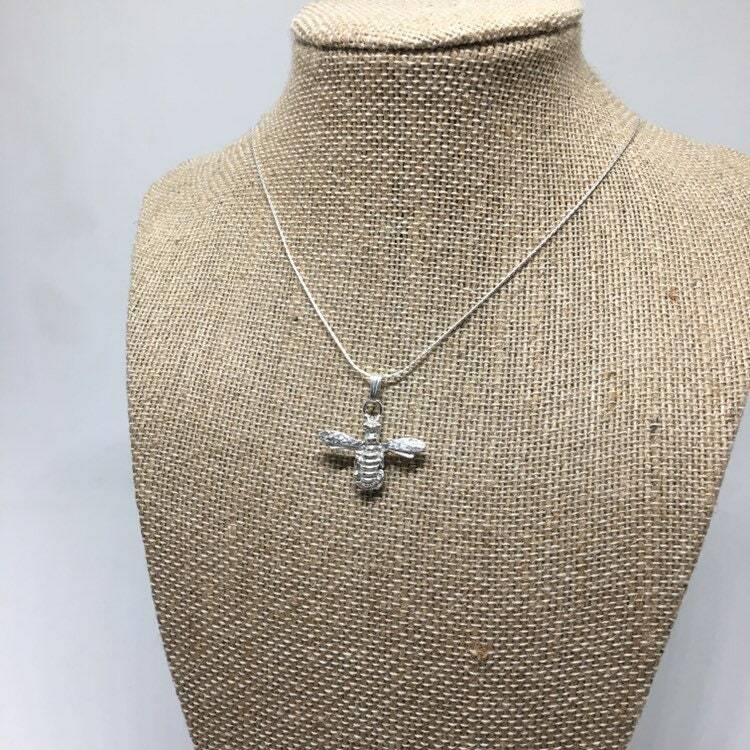 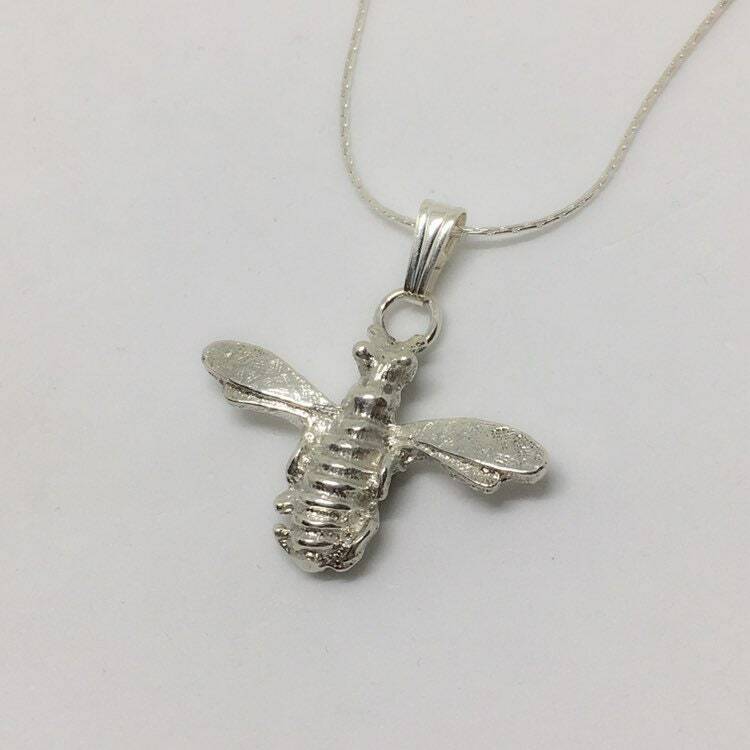 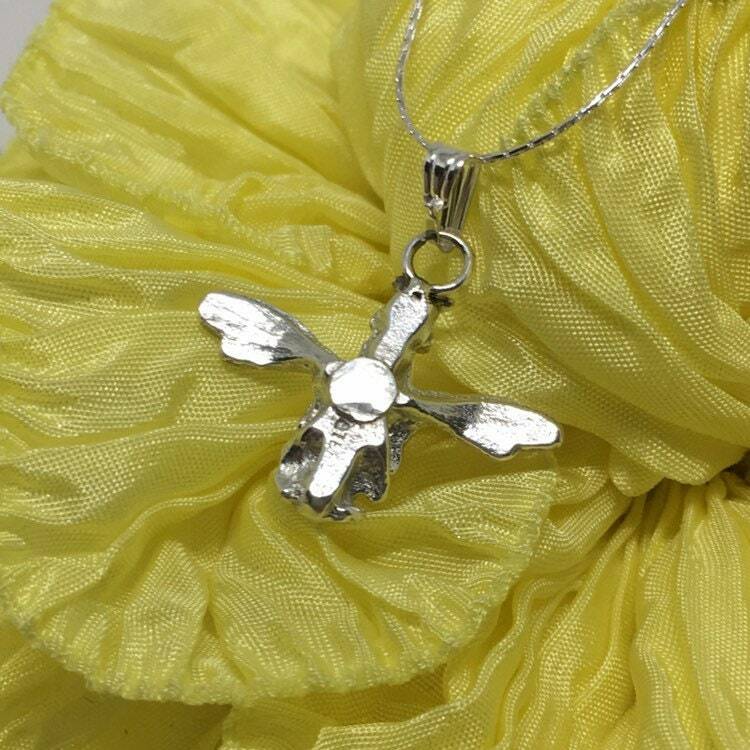 This a solid sterling silver Bee pendant handmade and cast from smelted silver in our studio. 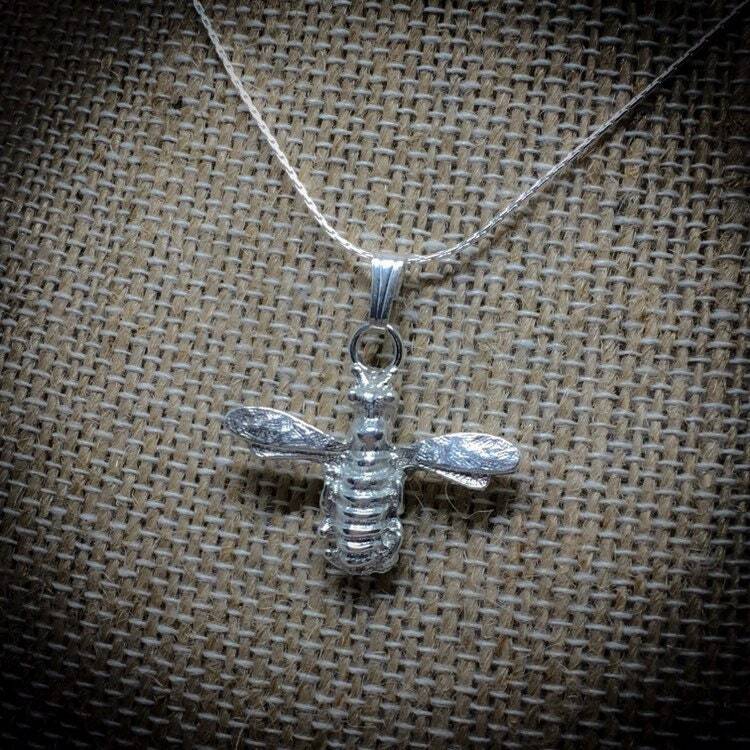 The Bee measures approximately 1”x1”. 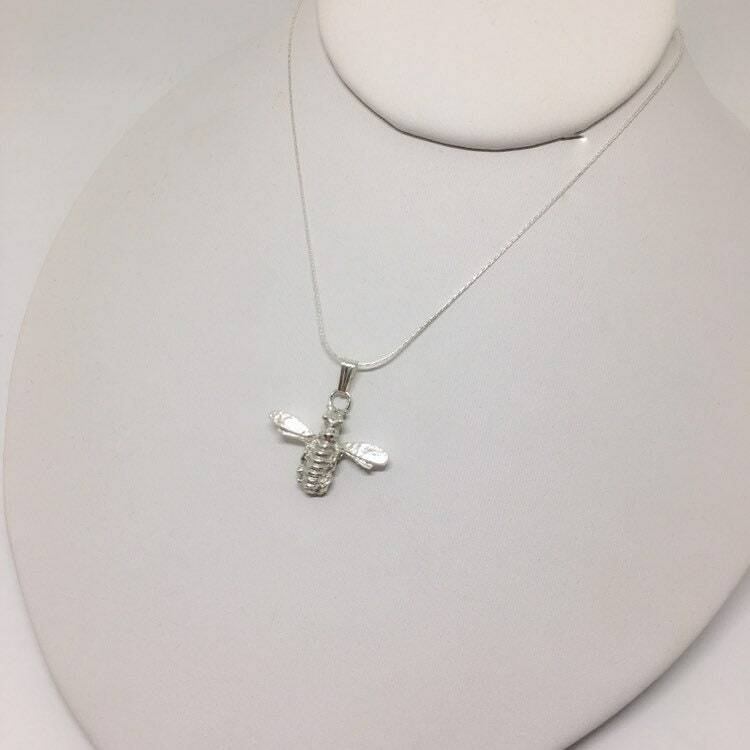 Includes an 18” sterling silver chain.